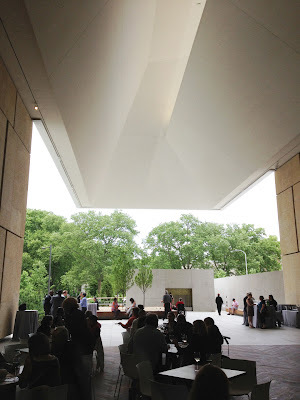 The extraordinary Barnes Foundation has officially been relocated to its new home on the Benjamin Franklin Parkway in Philadelphia, Pennsylvania after a prolonged dispute in Orphans Court by certain parties that sought to move the priceless private art collection of Dr. Barnes from Merion, Pa. Volumes have been written about how Dr. Barnes made his money, acquired the art and the legal battles that have plagued the Foundation in the past decades. This post is only about the new home of this extraordinary collection. 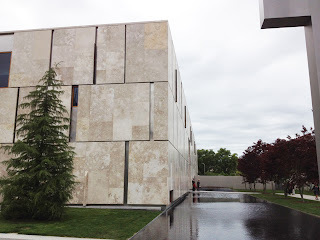 I visited the original Barnes Foundation in Merion, Pa many times over the past few decades; first, as an art student and later for pure enjoyment. 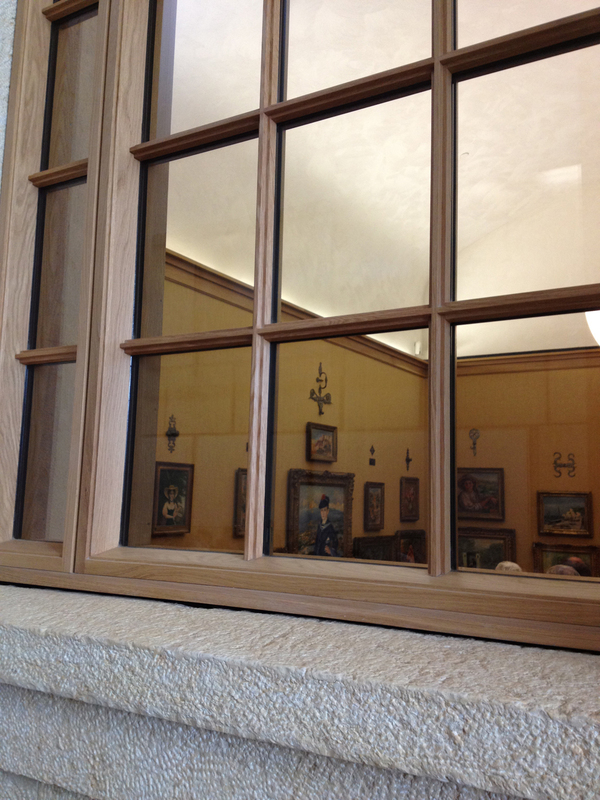 What made the Barnes special was the intimate viewing experience created by tight spacing on the walls filled with mostly Post-impressionist, Modern and Impressionist art displayed in human scale rooms. Paintings are arranged alongside antique fabricated ironwork, early American decorative arts, Navajo jewelry, pots and rugs, African art and sculpture and early European religious paintings. 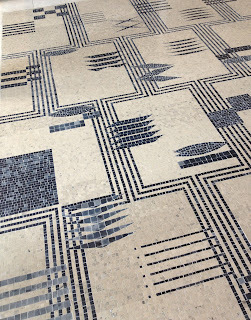 It is evident that the visual placement of every object in each room is intentional. This is how Dr. Barnes chose to display his collection. It made sense to him and if you go room by room it's not hard to see why he placed the paintings and objects this way. No matter what opinion of the 'correct' way to display art whether by chronology or by artist or whatever, I respect his intention as the owner and collector. 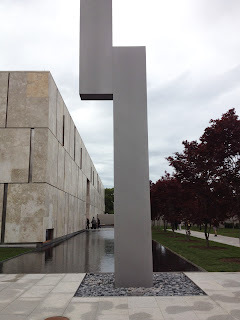 I viewed the collection during the opening week in its new Philadelphia location near the Philadelphia Museum of Art and the Rodin Museum. The new Barnes architects, Tod Williams and Billie Tsien, have essentially designed a limestone paneled shroud around a replica of the Merion Barnes. On the exterior I detected iron plates beneath the limestone as if this priceless collection is encased within a huge vault. The building is spare although interior details in the textured limestone, tile floor and unpainted wooden divided light windows provide a welcome reference to the Merion home. Mosaic tile floor. 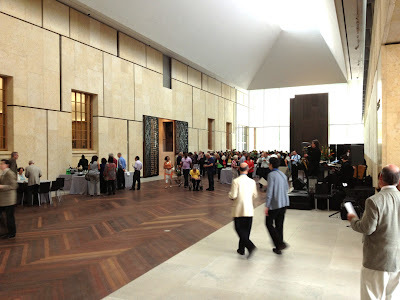 Entry of Barnes Foundation, Philadelphia, Pa.
View to an interior room. Renoir's Sailor Boy is visible in the center. Once inside the new modern building, one enters the collection through a massive iron gate that is positioned where the original front door would have been. Every room has been carefully copied and the collection is displayed exactly as it had been. The walls are again covered in a linen burlap textured fabric. Overall, the experience is mostly the same. Visitor entry is carefully spaced so that one has ample room to take in the amazing art. One noticeable change for the better is the improved lighting. 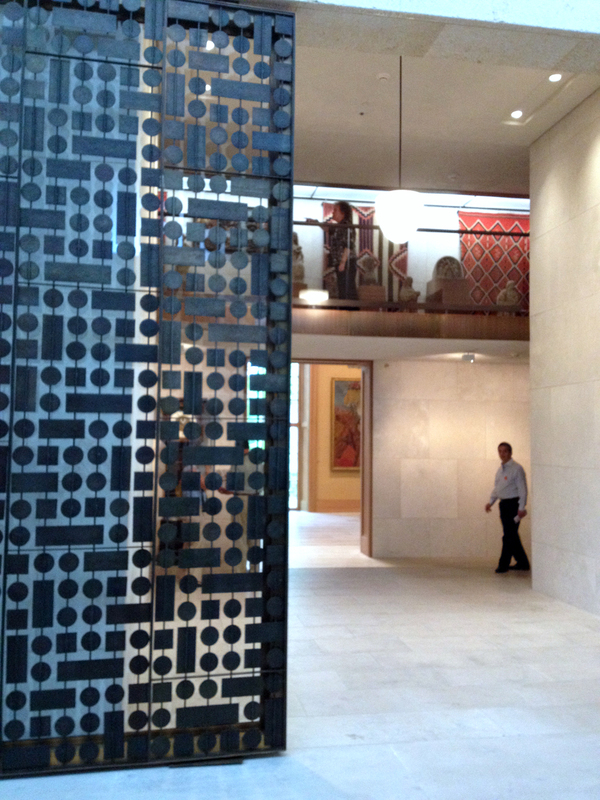 Despite the controversy, more people will get to see this collection than previously when it was housed in Merion. An impressive landscaping plan by Olin is incorporated within the site in homage to the original Barnes which is known also for it's Horticulture program and extensive gardens. 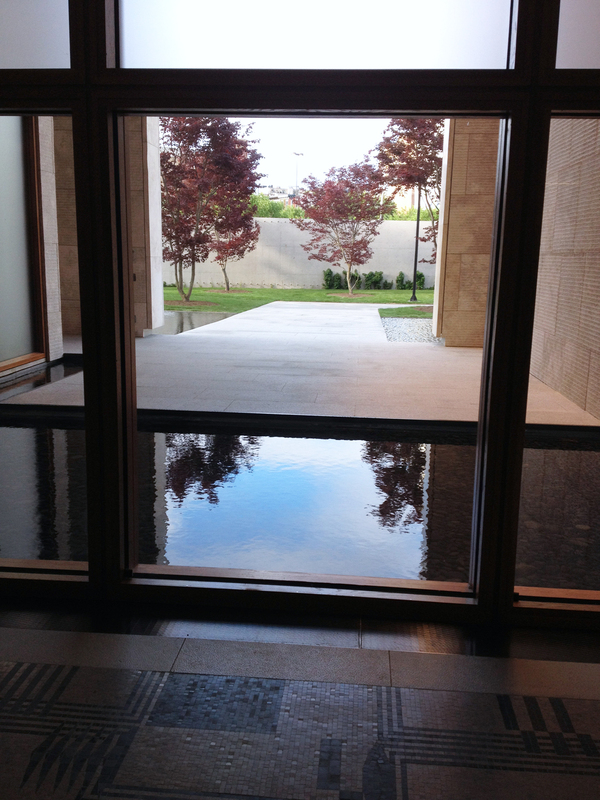 The interior windows now provide a view to the new garden on the site. I feel that the new Barnes is welcoming facility and I look forward to repeated visits and time spent enjoying a meal out doors on the terrace overlooking the garden. Photographs have never been and are still not permitted. 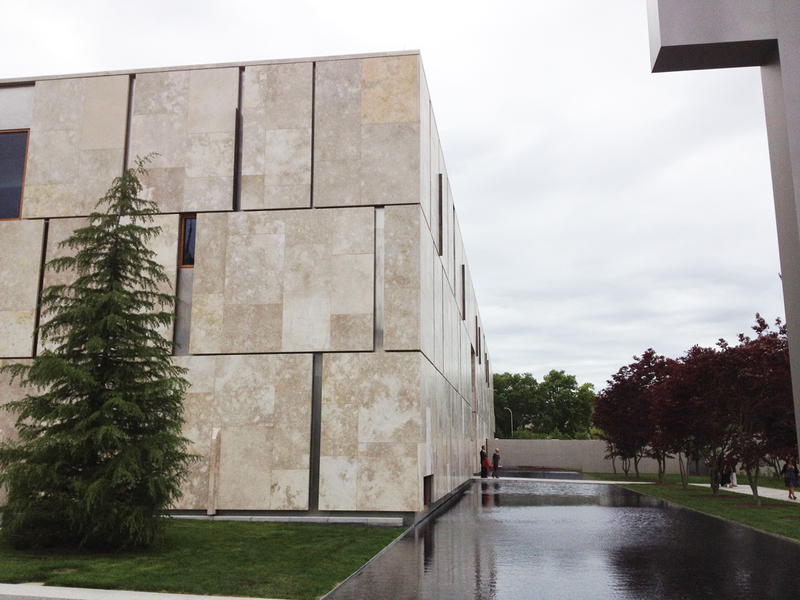 However, a new publication Masterworks, the Barnes Foundation has been published by Rizzoli. Art of The Steal Documentary about the Barnes Controversy. Tales From The Art Crypt, By Richard Feigen. 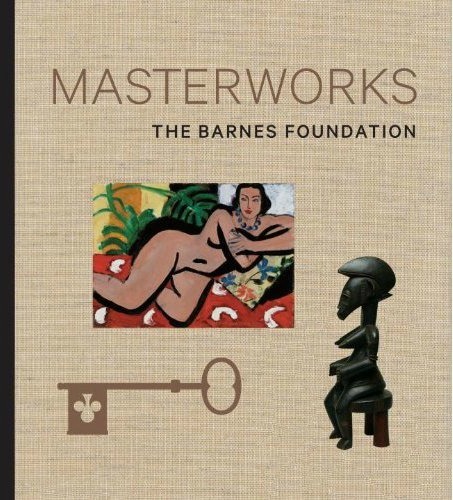 Alfred A.Knoph, New York, 2000.- There is a chapter on the Barnes in this book.